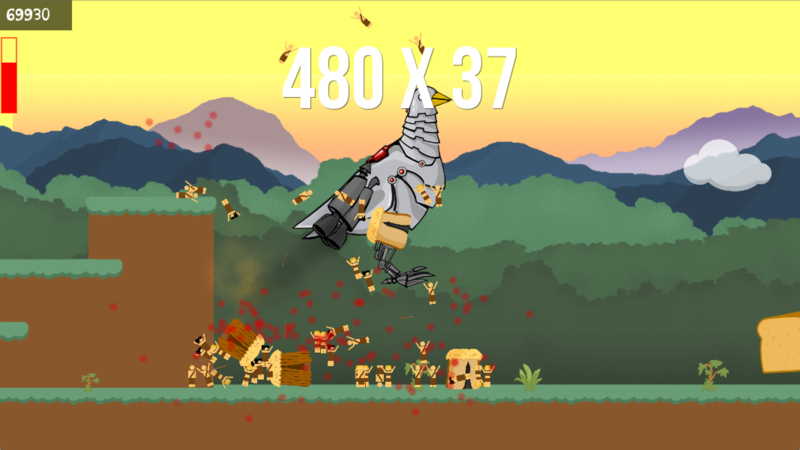 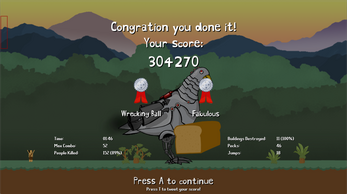 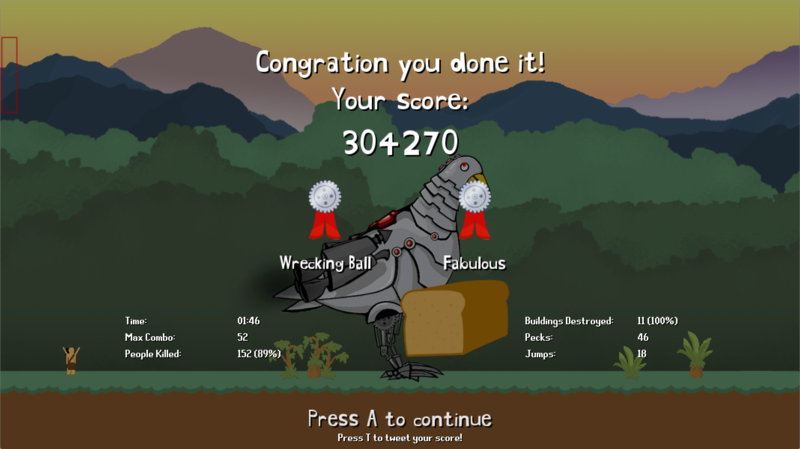 Fowl Play is a 2D action platform game with one rule: kill everything. 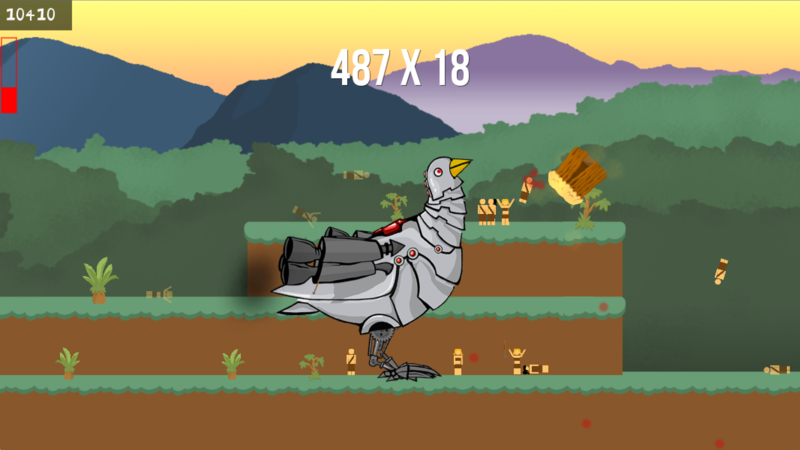 You play as a giant robot pigeon with a penchant for destruction. 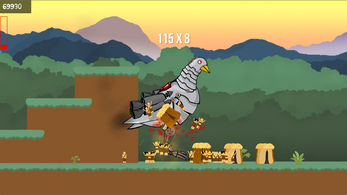 Terrorize the local humans and demolish their buildings. 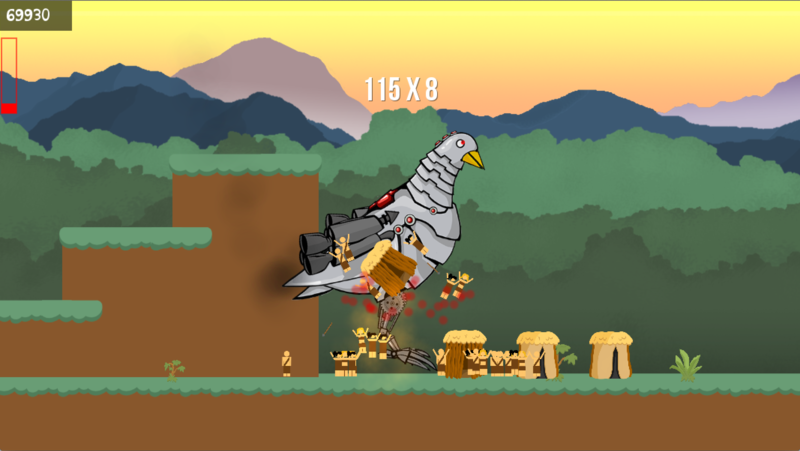 Venture through the ages and bring the pain to earn bonus medals and assert your dominance over the human race. Fowl Play was made for the 2015 GameDevFort Indie Game Maker Contest by Witch Warlock.